Whilst generally speaking there is no call currently by the media or the historians to preserve the enormous amount of research conducted into UFO activity that has taken place in this country, it is abundantly clear that there is a need to preserve the social history of the UFO phenomeona whether it be sighting reports, original drawings, photographs or other associated UFO memorabilia - not forgetting the researcher themselves, many of whom are now becoming elderly. We are no spring chickens! 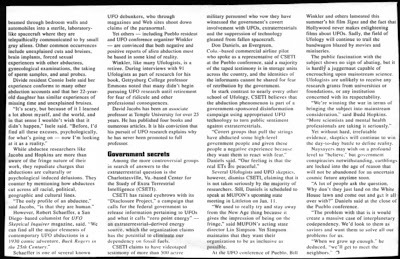 Our role is to preserve this information and catalogue with re-investigation wherever possible the UFO events that have taken place in this country over the last 70 years while we can, and I would like to thank Brenda Butler and the late Ron West of the East Anglian Paranormal research association for allowing us access to many sightings around the Suffolk area over the years, not forgetting other researchers from all over the UK who have been kind enough to allow us access to their records…. We are constantly barraged with films depicting man fight against the alien hordes. In the early 1950s it was the silver grey flying ‘Adamaski’ flying saucers that terrorised the population, but of course man triumphed thank goodness! Many people laugh at these flickering celluloid images seen on the TV and cinema screen - everyone is familiar with those old B-movies. I used to laugh at the ‘Adamski’ style flying saucer with its three globes set underneath into its base forming an equilateral triangle. Now I know they exist! Our general experience from many years research into this enigmatic subject shows that there is a vast gulf between the ways in which the media present various documentaries appertaining to the UFO subject: they are often distorted and sensationalized; more often than not they repeatedly ram down our throats that UFO sightings are examples of an alien presence on this planet. Similar described ‘flying saucers’ were seen in and around Great Britain during the 1950s. Margaret Fry and ourselves have re-investigated with Margaret what is probably one of the best documented accounts of one of the objects having landed on 17th July 1955 at Bexleyheath London (this is in Volume 1 of Haunted Skies). 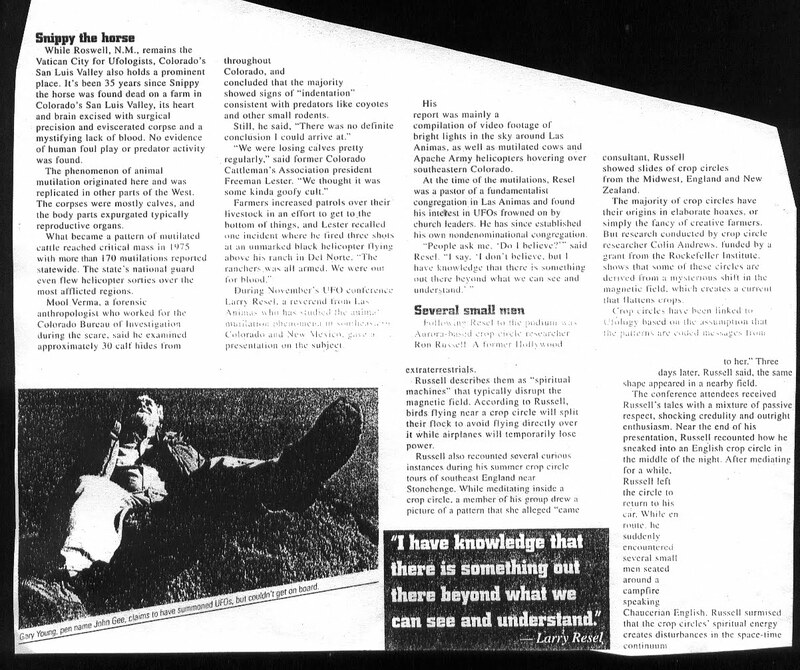 A couple of years ago representatives from well known British TV Channel Documentary, Firefly indicated an interest in screening the Bexleyheath UFO landing involving Margaret Fry. Both Margaret and I were messed about and it never came to fruition although they continued to screen the Zygmund Adamski case involving a coal miner who was found on a coal tip in Todmorden in 1980 and then linked erroneously with a UFO sighting made by PC Alan Godfrey some months later despite having submitted to the man in-depth report prepared following an investigation into the matter by myself and David Sankey when it was patently obvious this had nothing to do with UFOs, they told me “it wouldn’t do the viewing figures any good we will stick to our original script” I will have nothing to do with these people. Recently we went to Waterstones bookshop at Redditch and asked the manageress if they were willing to stock the book as they had a section devoted to local authors, relating to the mind body and spirit but no books on UFOs. She replied, “Redditch people don’t like books on UFOs; try Birmingham?" What a narrow-minded ridiculous attitude! In addition to this there are the continuing tongue-in-cheek articles presented by the tabloid press along with banner grabbing headlines - I’m sure you will have seen these time and time again. It is not about presenting any truths; it’s about selling newspapers! I told her to look at the records, which offer little information about what has been taking place in the UK over the years, along with their conglomerate of standard replies from the MOD, which tell the witness ‘they are of no defence significance’ in contrast to the accounts from named people whom we have interviewed over the years. Of course we have never received any publicity from other newspapers that were sent copies of the books (why is this?) and dont expect to do so . Ironically they continue to publish sensationalised accounts of UFO sightings. Undoubtedly the worst one I have ever seen related to a recent Sun front page feature that claimed from a well known UFO researcher that the Royal Navy engaged two UFOs, one of which ‘killed some ratings’ before crashing to earth at the Berwyn Mountains, following which one dazed alien assisted the other out of the ship and then hopped onto a flatbed lorry! And the spaceship jumped on the back as well! Over the years we have interviewed many thousands of people including senior RAF personnel. We discovered that Lord Dowding, Head of RAF Fighter command during the Battle of Britain, was himself a believer in UFOs and travelled to Washington in 1941 to scrutinise UFO files kept by the USA. As far as we know Lord Dowding, while he had his own opinions on the subject, could not prove where these ‘things’ came from. Neither could Sir Peter Horseley, the late equerry to Prince Philip; or Lord Louis Mountbatten. This list, of course, goes on. We have spoken to many airmen over the years (strangely very few sailors; it is believed that the Admiralty have their own office for such reports; this is as far as I know still shrouded in secrecy). The airmen include many senior RAF servicemen; they do not claim to have sighted aliens or flying saucers. They just describe what they did see. 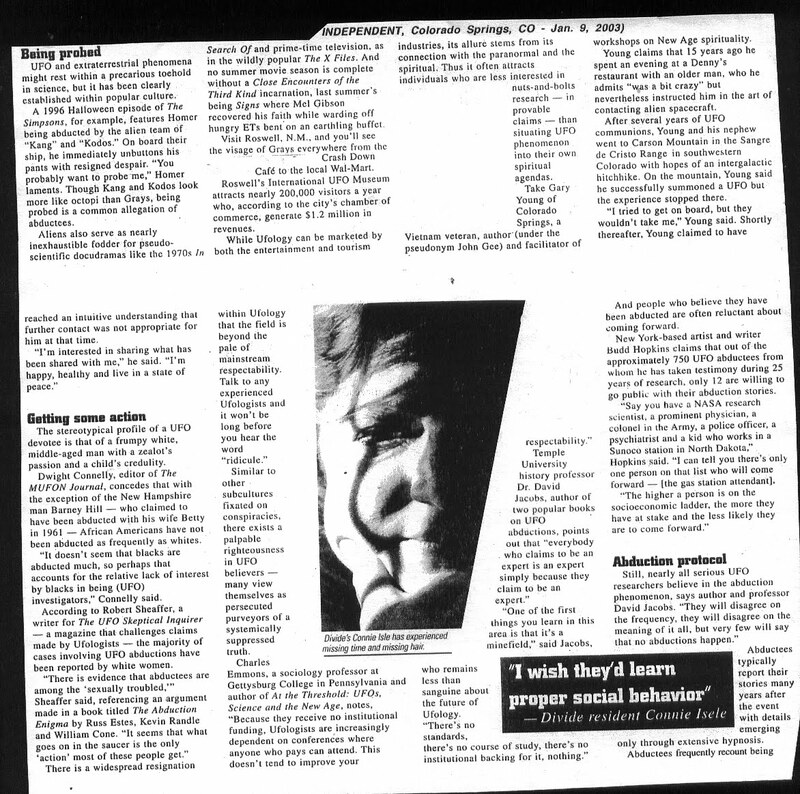 One thing we have learned about UFOs is their behaviour characteristics which remain the same and that on occasion people who have been ‘exposed’ to the fields of energy which appear to surround these objects will experience effects such as mechanical/electrical interference to domestic TVs radios and appliances. In addition they can also experience ‘secondary’ manifestations, and the discovery of mysterious marks and scars found on their body. More worryingly are the complaints of threats and intimidation examples of which we will quote in due course………. The nature of this statement will automatically make many of you here jump to your own conclusions, but we don’t know what lies behind UFOs and should be very careful about making snap judgements founded on a belief system based on our own individual interpretations through the culture of science fiction which was itself originally borne from factual reports of UFOs in the 1950’s than the reality of what is actually taking place. 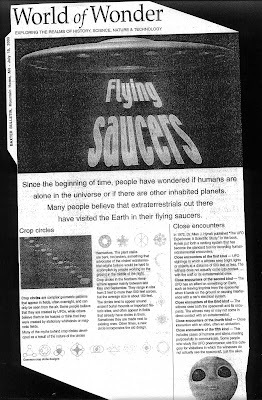 They would be appear to be indigenous to the Planet and sightings of strange objects seen ‘cavorting’ about in the sky have been recorded from hundred of years ago, we have termed this behaviour as UFO displays and have many examples of such over the years. 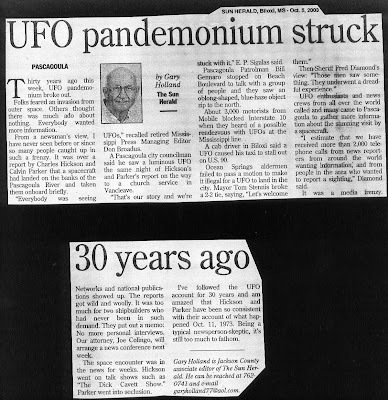 Dr Allan Hynek concluded that in his opinion after many years research that we were dealing with what appeared to be evidence of a paranormal phenomena rather than UFO. 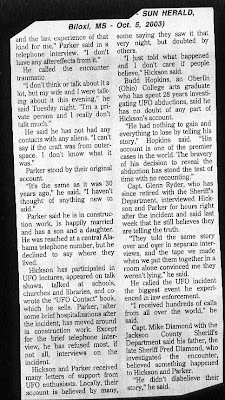 One of the reasons why the Public laugh at people like us who have expressed an interest in learning about UFOs is because they base their opinions on not what the witness has seen or experienced but on the quality of verbal statements made by researchers to the Press They are often worthless and appear to be a knee jerk reaction made before any proper investigation has been made. That’s why Ladies and Gentlemen we will not be taken seriously. 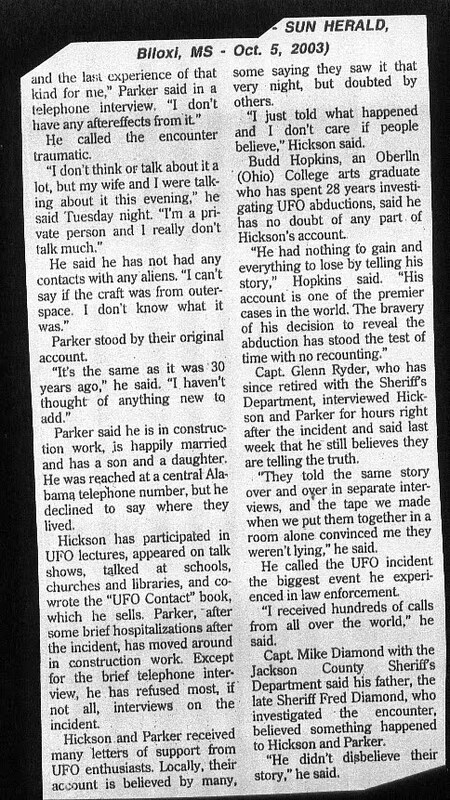 Its time some of these so called UFO researchers stopped trying to raise their own profiles through expansion of their ego’s, and concentrate on being far more professional. Until this course of action is adopted irrespective of whatever sighting comes and goes, we will still be regarded as the Lunatic fringe. 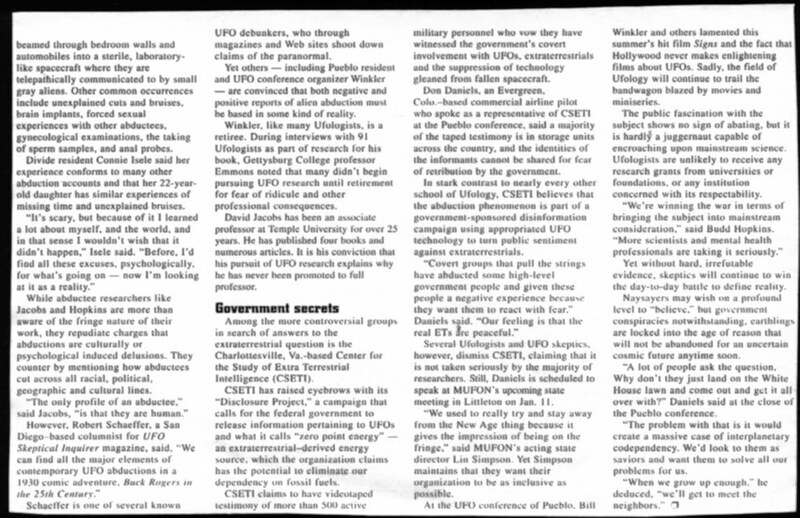 I have met some very professionally run UFO organisations over the yearsand have no hesitance in recommending BUFORA as being one of the best if not the best, and while I do not necessarily share some of their views, (no doubt feel the same about mine. ) I’m sure that you will be pleased to know that Matt Lyons their Chairman he is a credit to the organisation. In January 1960:-3.20pm- Mr Tipping of Cransford Suffolk was asked by his poultry man to look at something strange in the sky which he thought might have been a parachute. 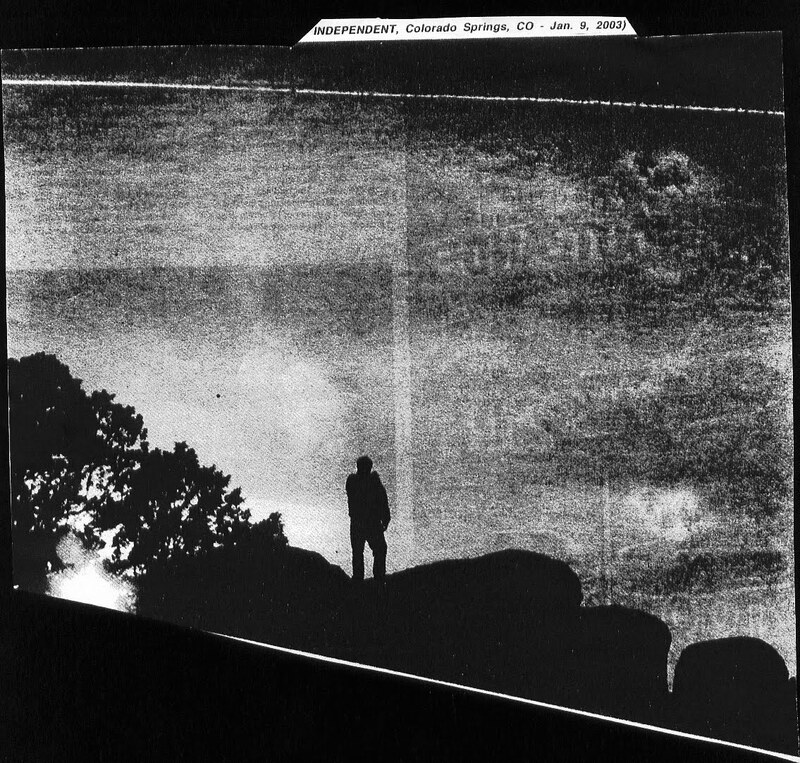 “Through binoculars I saw a circular apparently spinning object flashing at great height, (50.000feet) with a bright centre portion .After about 20minutes it disappeared behind clouds” Mr. Tipping contacted the East Anglia Daily Times who told him they a large file relating to such reports! On the 9th June, 1961, Gordon Kinsey, in his excellent book, Birth of a Beam, tells of a incident that happened near RAF Woodbridge, Suffolk, when it was alleged an aircraft was seen to come down by one of the airmen at the base. A full scale search by military personnel from RAF Bentwaters, and civilian emergency services, failed to find any trace of the ‘aircraft’ seen descending. On 10th October, 1965, Mr. & Mrs. Harvey-Bloom, of Southwold, Suffolk, were outside their house at 5.15 pm. when they saw,” a cylindrical object, with a pointed end, split into five different vertical compartments, showing brown, orange, yellow, yellow/green and blue colours”. On OCTOBER 27th 1965 6.28pm - Mrs Moore, from Woodbridge, Suffolk, sighted a sky blue object, resembling a child’s balloon in appearance, travelling in a straight line across the sky, before disappearing over trees, investigated by Cambridge UFO Group - not believed to be a child’s balloon. 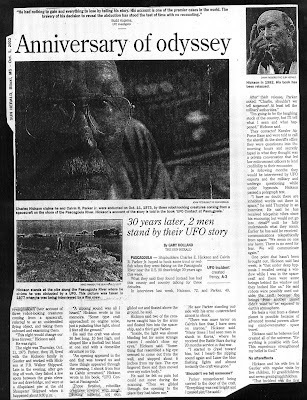 A ghostly incident was the subject of conversation with retired United States Air Force Captain LarryHammer, of the 81st stationed at Woodbridge Airbase during the 1970's who described an occasion when a Security Police patrolman fired at an intruder who had breached the Victor Alert area where the nuclear weapons were stored. "He challenged what he took to be a person approaching his position as ground fog began to settle, and then opened fire confirming to laid down directives issued for dealing with incursions onto the airbase. As the person' entered the second fence, the officer panicked and sought the safety of the security hut To my knowledge the incident was reported all the way up the chain of command to Washington, as the discharge of a weapon on an airbase was treated with seriousness. The Patrolman was tested for drugs and alcohol abuse with a negative result and served with article 15 for the discharge of a weapon in the Victor alert area. ”In the cold light of day it would be all to easy to dismiss the Incident as being a product of overactive imagination stimulated by the eerie atmosphere which pervades the forest at night, especially when on your own, but knowing the location well and having seen for ourselves some strange ghostly forms, captured on camera both digital 35mm, not forgetting the bizarre fall of stones experienced on more than one occasion by a number of people visiting the forest one can fully understand why the patrolman reacted in this way. In March 1980, a woman from Gorleston, near Yarmouth, Norfolk, telephoned Brenda Butler reporting having seen a huge orange ‘light’ in the sky, heading towards the coast, which she believed came down somewhere near the sea. In the early morning of 15th June 1980, something just as strange occurred close to Rendlesham Forest according to Ken Kerns - then a member of the Security Police, posted to ‘B’ Flight.“I was cleaning my firearm, one afternoon, with other members of the Security Patrol, when I overheard a conversation taking place between one of the Airmen - A.I.C.Wagner, talking to Flight Chief Master Sgt. Faile, agitatedly. At 8.pm.18th November 1980, Mike Boyle, from Saxmundham, Suffolk, sighted grey and orange coloured saucer shaped object heading across the sky, over Butley, near to Rendlesham Forest. As it passed overhead, he heard a distinct ‘whooshing noise’ before it passed out of sight, two minutes later. At 2.00 am. 20th May, 1954 Nigel Frapple was walking home from a dance, at Wincanton, Somerset - a regular journey, - when he noticed an orange glow, low in the sky, which he took to be a farm, or house, on fire. Curious, he stopped near a farm gate, a short distance down the road, just past Red lynch crossroads, and crouched down to have a closer look. © John Hanson, 2005 “I was astonished to see this dome shaped object hovering approximately 40 feet off the ground in one of the nearby fields, a couple of hundred yards away. It had a cockpit in the centre, with three portholes, and was glowing with violet light. The outside of the ‘craft’ consisted of what looked like glass panelling, gun metal grey in colour. At one end I could see an orange ‘ball’, cascading with light - like the disco lights you now see. The curious thing was that it didn’t appear to be attached to anything - just suspended in the air. Inside the cockpit were shadowy movements, indicating the presence of something, or someone, moving behind the light, spilling out of the portholes. After five minutes, or so, it moved as if it sensed me watching it. I stood up and took a couple of steps forward. On 21st October, 1954, housewife Mrs. Jessie Roestenberg - then living at a farmhouse in rural Ranton, Staffordshire, with her husband, Tony - a Dutchman by birth, her children, Karin (2), Ronald (6), and Tony, and family) witnessed something, which was to totally change her conceptions of life on this planet - still very much evident, over 50 years later. Jessie, “At about 4.30 pm., I experienced a peculiar sensation, like a tingling in my nose and throat, as if I was going to catch a cold, but put it to the back of my mind, while waiting for the boys to arrive home from school. At 4.45 pm., I was beginning to worry where the two boys had got to because they should have arrived home at 4.30 pm. Suddenly, I heard what sounded like a giant cauldron of water being poured into a fire. I rushed outside, thinking an airplane was going to crash, and noticed the two boys lying flat on the ground. They shouted to me, ‘Look, Mummy, Mummy, there’s a flying saucer!’ I told them not to be silly and get up but realised, from their facial expressions that something had frightened them. They grabbed hold of my skirt on either side of me and we walked up the side of the house, instead of going in by the side door I had just come out of. I seemed to be in some way drawn, or compelled, to the top of the garden - almost as if I was being manipulated by an outside influence, of which I had no control. I glanced around and saw the amazing sight of this flying saucer shaped object hovering 40-50 feet above the roof of the house. Inside the ‘saucer’ I could clearly see what looked like two humans, wearing long golden hair down to their shoulders. I felt a mixture of emotions - amazement and fear run through my body, followed by the thought, ‘God will wipe away all tears’. Immediately, all the tension left me, (something I have never disclosed to anyone before because of its religious significance). I turned to my sons and asked them if they had seen the ‘flying saucer’. They replied, ‘yes’. Confused and unsure of how to deal with what had occurred, Jessie gathered the children together, hid under the kitchen table, and waited for her husband, Tony, to arrive home, when she explained what had taken place. Tony wisely spoke to the boys individually and then telephoned the Police, at Stafford. They sent a Sergeant and five Police Constables to the house, who arrived a short time later, and spoke to the family. Jessie was very perturbed to see the following local newspaper headlines, later published, boldly declaring, ‘Staffordshire housewife sees hairy men from outer space’. After the sighting, she felt revitalized, for a short time, until discovering a strange rash covering her face and front part of the body, accompanied by a considerable loss of weight over a relatively short period, which gave rise for concern. Jessie sought the advice of her Doctor, who was well aware of the UFO incident and intimated there was something wrong with her mental health. 1974 Shortly after their encounter, with a UFO in Essex John and Elaine Day became aware they were being followed on a number of occasions (individually) by three cars, a small red “sports” car, a blue jaguar, and a large white car (Ford Executive?). The number plates were the British new style yellow at the front with white at the rear. During conversation with Mrs. Hill it was established that on June 26th 1978 a brilliant object had passed over the house, flooding the kitchen with light. This had caused the dog to run under the bed with fright, and panicked horses in a nearby field. More seriously the electric wall clock gained 15minutes, the refrigerator defrosted and the TV picture distorted. The witness returned home one night, and found an extremely odd and altogether unidentifiable black car parked some 200yards from his home .Its number plates had what appeared to be Arabic script. The diver dressed in black looked blankly at him as he walked past. About six months later he was again ‘accosted ‘by the appearance of the vehicle again which was parked near his home. In January 1980 John was driving along the Witney By-pass when he realised he was being followed by a car. When he looked into the rear view mirror he was horrified to see that it was the same black car. Over the course of the weeks that lay ahead John was to receive a number of nuisance telephone calls made to his house during the night which unnerved him and his wife. 1979 Following an encounter with a UFO It will come of no surprise to learn other incidents of ‘high strangeness’ occurred after this sighting involving the appearance of strange dark suited men, who were seen by Lynda, driving a dark classic car, which swerved in front of her, containing two male occupants, wearing trilby hats, while on her driving test.On another occasion, one of the above ‘men’ was seen lurking about in the back garden of Lynda’s house. Lynda called the Police, who arrived and went into the back garden, as they approached him; he disappeared into thin air in front of them, leaving the Officers shocked by what had happened. Unfortunately the identities of the Officers concerned are not known otherwise we would have attempted to trace them, in order to learn more of what they actually saw. 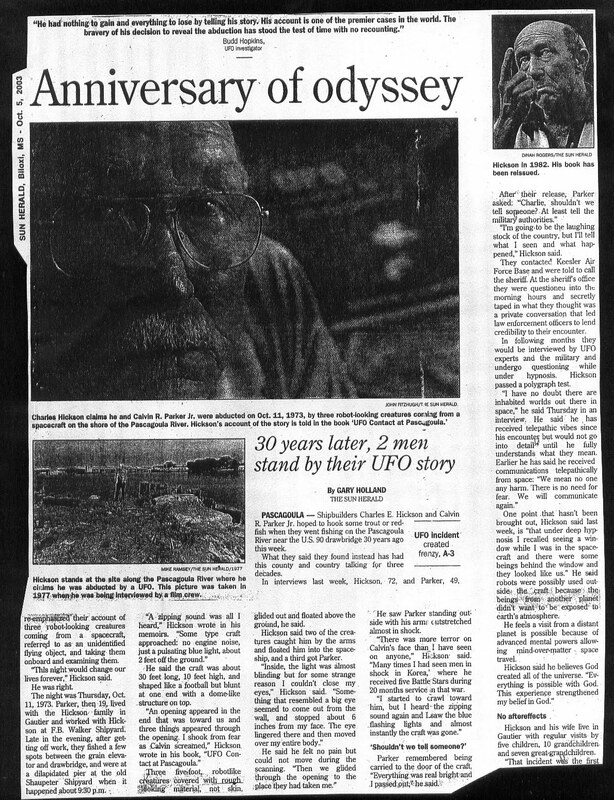 During the course of our investigations into the UFO we were to come across a number of occasions, involving visits to the witness’s house, by sinister ‘Men in Black’, now popularized in modern-day folklore as being members of a covert government department, whose very presence was to cause fear and intimidation to those concerned. One man who chose not to be intimidated was Graham Herring, from Southampton, Hampshire - a keen radio ham, for many years. “At 1.46 am in July 1983, I was transmitting on the FM wavelength at my home address; Suddenly the night sky was illuminated by a powerful light. Wondering what on earth was going on, I rushed to the window and looked out to see a glowing orange saucer shaped object moving slowly through the air, about a hundred feet off the ground.I stood in disbelief watching the object, which I estimated was about 150 feet long and fifty feet in width. After losing sight of it I sketched what I had seen onto one of the wireless logs. I then contacted the ‘Southampton Echo’ Newspaper and told them what I had seen. Ruth ,”The weirdest part of the whole episode was when a local UFO enthusiast called me a few days later. He said I should be prepared for men in black suits and a shiny black car coming to my door in the coming days:’ They’ll tell you they are from the Ministry of Defence but they're not,' he said, before adding, 'they'll ask you lots of questions about what you saw but they quickly get tired.' Of course, I thought he was completely round the bend. That was until three weeks later. I arrived home from work and my neighbour asked if we'd been expecting any visitors that day; she said a black car with three men in dark suits had been at my house and left when they realised nobody was home.